Geoscience Ireland (GI) is pleased to announce that Geo Drilling Solutions has joined GI, bringing membership to 36 member companies. Geo Drilling Solutions provides Design, Consultancy and Specialist Contracting to the Ground Engineering Market in Ireland and the UK. 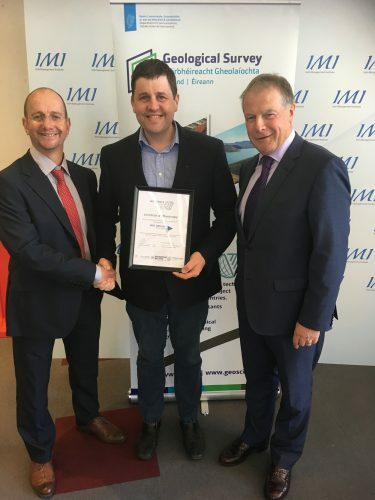 Director of Geo Drilling Solutions, Niall Meehan, has 20 years’ experience in the drilling industry and served on Geoscience Ireland’s Panel of Individual Experts from September 2016. Water Well Drilling for private to public water supplies. Geothermal, both closed and open loop heating systems. Horizontal Directional Drilling, Pipe Ramming, and Auger Boring. Conductor installations for hydrocarbon boreholes. As well as providing strategic planning, feasibility studies, technical support and project supervision to the trenchless and groundwater industry, Geo Drilling Solutions also provide a comprehensive and independent training and assessment service. In 2017, Geo Drilling Solutions and GI member, APEX Geoservices, collaborated on a Horizontal Directional Drill (HDD) design project to find the extent of a historic landfill cell using geophysics. Geo Drilling Solutions’ recent projects include; the provision of a technical solution to install a watermain beneath a river and road along the Williamsgate to Quarry Hill Pipeline in Cumbria, UK, the provisionn of a turnkey solution for the installation of a duct in bedrock beneath an environmentally sensitive river in Ireland and several geotechnical investigations for HDD crossings.